The Royal Military College Duntroon is an institution which, trains and equips future officers and commanders of the Australian Army. The Staff Cadets are put through a rigorous training regime for 18 months in order to develop the necessary skills to lead a group of men and woman in all situations, including combat. Captains Kenny (Officer in Charge) and Jo Delamore. Representatives. Kenny and Jo joined the RSDS team in 2013. They have been RSDS Representatives at Townsville and Brisbane and were previously based at Royal Military College (RMC), Duntroon. 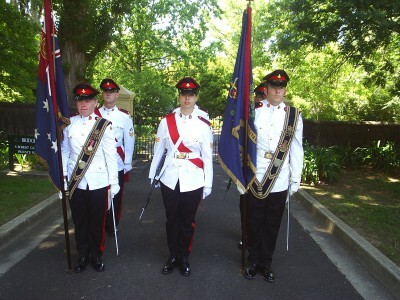 They are very pleased to be returning to RMC after being based in Brisbane for two years.